Culver City, CA : Oakland, CA : Frank Dorrel ; AK Press, c2004. 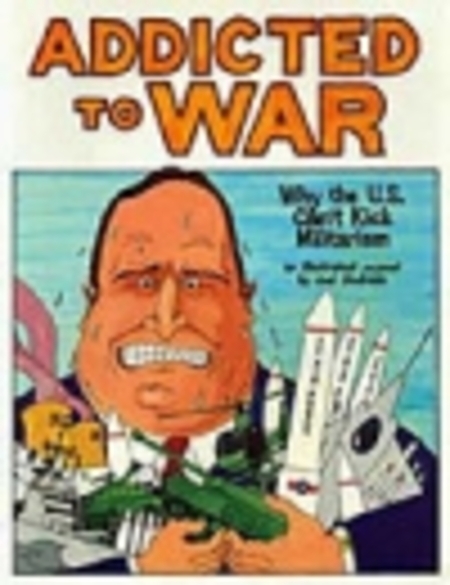 This slim book is a concise and readable history of American militarism in comic form. It reveals how war-dependent the American economy has become. It pulls no punches in depicting the undemocratic policies the American government has enacted in other countries, while selling wars with noble lies to the people at home. A shocking portrait of US-American militarism and its consequences, and a strong statement against war and for peace.